This 5 oz. stainless steel flask slides easily into a jacket or pants pocket. It's curved to fit the hip. This flask has an insert of black leather. Patterned edges give you a secure grip. Top and bottom are rimmed with a hinged cap. 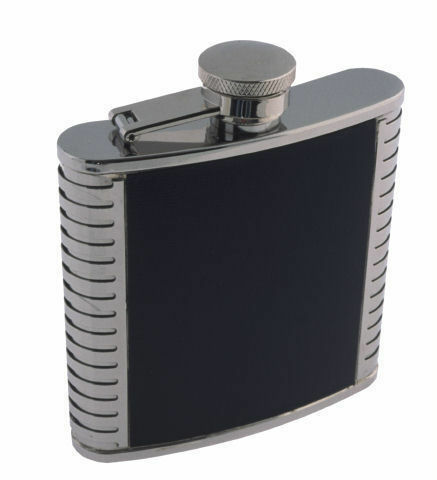 Flask dimensions: 5 3/8" X 3 3/4"